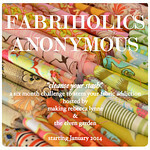 I've had a bit of time these last couple of weeks to think about what I want to sew next. I drew up a list: of commissioned projects (only a few, but it is a start! ), of gifts that I want to make for people, and a wish list of things that I want to make just because I want to! I hope that over the next few months I can get a good balance of sewing from each of these categories, and keep the creative juices flowing while at the same time creating for others, which I love to do. I started with a gift for a new baby boy who was born a month ago to some friends here. 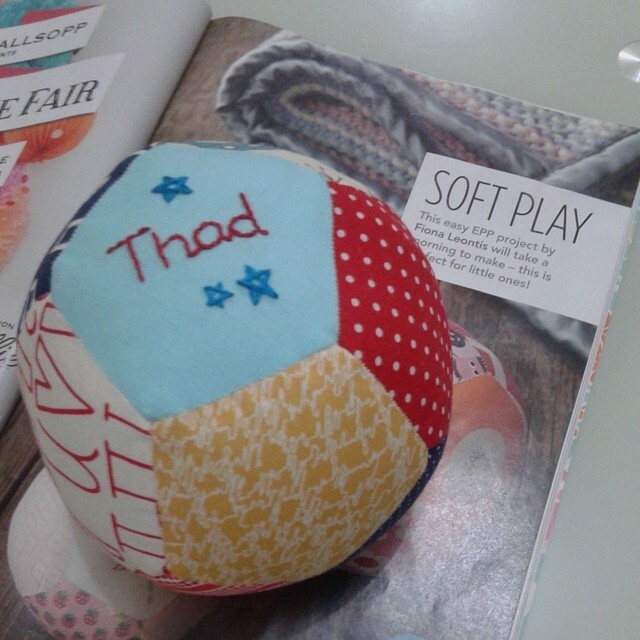 I used a pattern by Fiona in the Love Patchwork and Quilting magazine. It took me a couple of days (unlike the half day suggested in the magazine!) 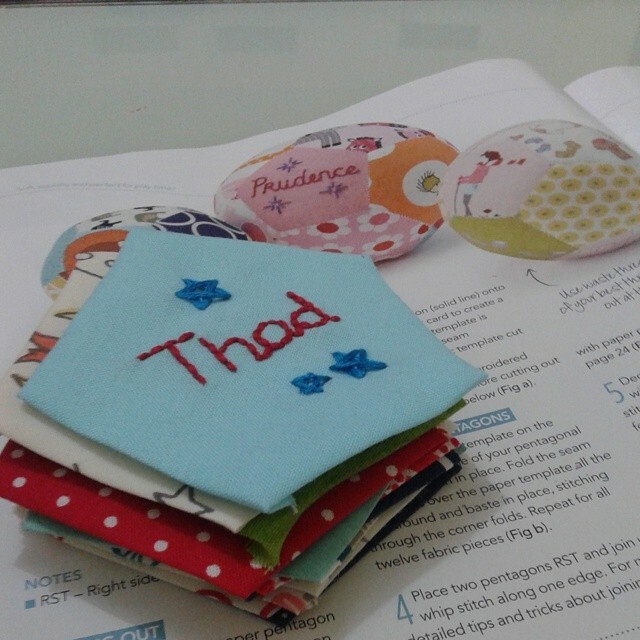 and I managed to use scraps, which is one of my bigger aims at the moment, to get through that scrap box! It came together really easily and hopefully they will appreciate a hand made gift. I was about to start a scrappy baby quilt next but my eyes were drawn to some strips of fabric that I had ordered from Karen while I was in the UK. I love her hand printed fabric and had chosen these colours for something else. But in the end I just had to play with it. I ended up making three things. The first isn't finished yet, but the other two are thank you gifts for some sweet quilting friends. and a rainbow pencil case. 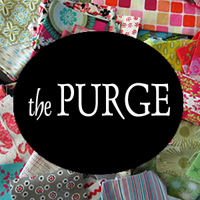 Linking up with Sew Cute Tuesday and the Purge! These are all lovely gifts, it's good to have a balance of things you want to do (play time) and things you have to do. Congratulations on the commissions! Beautiful work! I love the ball. What a great idea for gifts! How did you fill it? 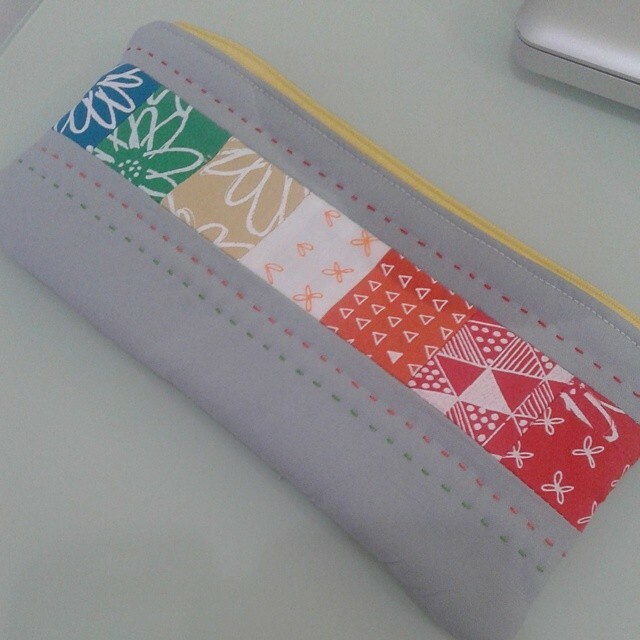 I also love the mini quilt and the pencil case. The mix of colors is so soft. That makes me think of a rainy day during the summer. The sky is grey but the flowers still offer their colors to our eyes. Lovely makes, and I'm not surprised you couldn't resist playing with that fabric, hand printed fabric is always that extra bit special. Good luck with your balancing act, it is hard, even apart from if you have commissions, there always seem to so many gifts to make. Beautiful makes. I'm sure your friends will really appreciate them. It is nice to find a balance when crafting and enjoy the process. Congratulations on the commission work. Aww that ball is so sweet! That scrappy ball is incredibly sweet! Each of your projects are beautifully made. 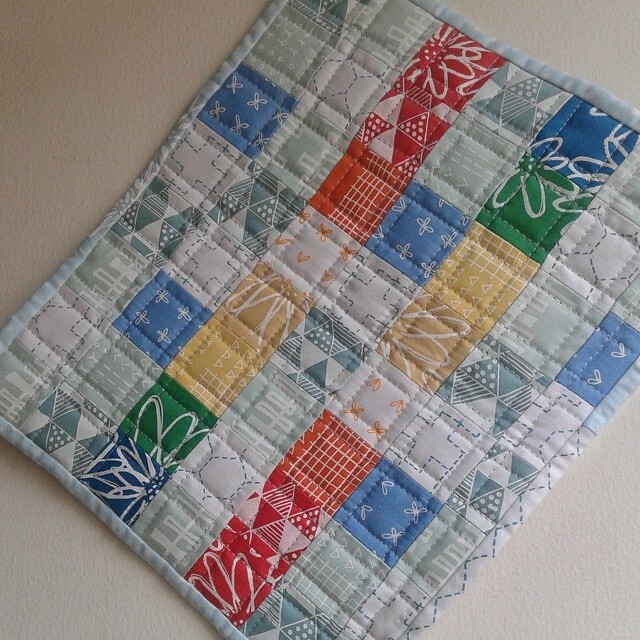 You have a nice balance to quilting ideas ahead, an exciting time. I love all these projects! My favourite is definitely the rainbow pencil case, very Zakka!